As part of our day-to-day services, Brisbane Window & Solar Panel Cleaning also have highly trained commercial and residential gutter cleaning specialists. The gutters surrounding your property are a hugely important part of your overall roofing system and as such, they demand regular professional maintenance to not only keep your property aesthetically pleasing, but to prevent any damage from the unpredictable Brisbane elements. Gutters by definition capture, channel and redirect rainwater away from the perimeter of your property. Naturally, gutters are the first line of defence against water ingress into your property. So it stands to reason if your gutters become overfull or even clogged with environmental fallout and debris, they may no longer function correctly. The failure of your guttering system to function as they should, leads to the high potential for water seeping inside the property, which will naturally result in costly water damage… and that’s just the tip of the iceberg. Brisbane Window & Solar Panel Cleaning are on hand to step in well before the problem reaches disaster stages. Using our powerful 3000 Watt vacuum, hydro jet and CCTV camera or even using traditional tools we offer the most professional and complete gutter cleaning service in Brisbane today. Brisbane Window & Solar Panel Cleaning have the right equipment on hand at all times to easily enable us to professionally remove moss, de-weed your gutter and dispose of even the stubbornest environmental blockages. Our gutter cleaning service is just ideal for residential properties, schools and colleges, care homes, domestic housing and commercial premises. You can be assured we will send a professional, police checked gutter cleaner to work on your gutters at the exact agreed time. All debris and blockage that will potentially fall from your gutters as we clean will be thoroughly rinsed and cleaned – including all of your walkways. How much will gutter cleaning cost? 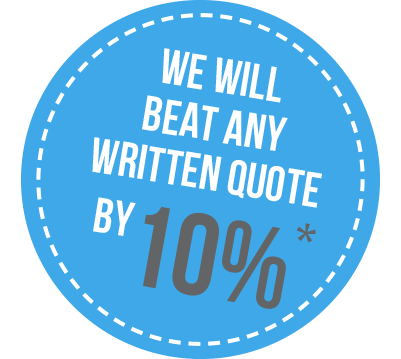 We can easily and instantly provide a quick quote over the phone or via email. No need to wait at home for us to come out and do a site inspection, as 9 times out of 10 we can provide an accurate quote via a quick chat or a Google Maps lookup. We can even offer a by-the-hour price if you are more comfortable with that. Do we have to clean up after you have finished? No way. Our team of gutter cleaners will work diligently and professionally to ensure that not only your gutters are clean, but also any evidence of the work undertaken from around your property will be removed. Is gutter cleaning safe to do? Absolutely safe – rest assured all technicians working at Brisbane Window & Solar Panel Cleaning are highly trained and certified in working with heights and height cleaning. You bet we do – we offer a full guarantee for all our services provided. However, if there is any sort of blockage after our team has visited, we will ensure a team member is immediately sent out to your property and fix the issue completely free of any charge whatsoever. How often do you think I would need to clean out the gutters? Naturally, this normally would depend on the overall dimensions of the property, but as a rule of thumb, we would suggest considering having the gutters cleaned once every 6 to 7 months. That said, property owners with a lot of surrounding vegetation and trees growing above the gutters may possibly require gutter cleaning a bit ore frequently, perhaps between 2 and 4 times a year. Is Brisbane Window & Solar Panel Cleaning fully insured? We are fully insured to $20,000,000 for our staff as well as our clients. Working with Brisbane Window & Solar Panel cleaning affords the peace of mind in the firm knowledge that your property is completely safe, our company will cover all the costs and reparations in the unlikely event of an accident. Check Our Gutter Cleaning Brisbane Blog For More Information!